These Mammoth cabin rentals are ready to go when you are. From small to large, each is a full sized cabin at Mammoth Mountain resort with a wide variety of styles. Each rental is professionally managed and are very well equipped. Each property comes with a full kitchen, fireplace, Internet, spas and are either ski in out,or a short walk to the resort or right in downtown Mammoth. The cabins come in 1 bedroom up to 4 bedrooms which can sleep as many as 10 people. Enter your travel dates and rentals that are displayed are available and can be reserved instantly for your vacation. 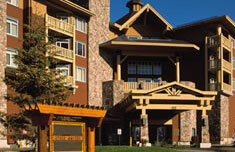 Sunstone and Eagle Run condos are ski in out at the Mammoth resort. Each cabin has fireplace, full kitchen and comes ready for fun in winter or summer. Forest Creek cabins are one of the few Mammoth cabin rentals that have private spas. Each is a two bedroom, 3 bathroom that can sleep 6. Our "Cabins in the Sky", a collection rentals with views of the Mammoth valley are ski in out in winter, and off the bike park trail in summer. Across from Chair 15 are the Summit Condo rentals. These are perfect places to walk right to the slopes, yet are just a minute from downtown Mammoth. Call City Concierge at (866) 864-6444. We're here to assist you finding the best places to stay at Mammoth Mountain resort.